Sabudana or Javarisi (Tamil) are those white, pearl like balls, also known as tapioca pearls made from the starch extracted from the pith of sago palm stems. Until before marriage, I have had this only in payasam or kheer, had never even heard of this khichdi. I came to know about this from a Marathi friend's mother, who used to have this on those days, that she fasted, even then I didn't fancy this much. Only later, when I made the vadas with this, I liked it so much that I tried the khichdi again, and this time, I loved it. This is such an easy breakfast, if only, you remember to soak it the previous night, it tastes awesome with the potatoes and the roasted peanuts..
Wash and soak the sabudana, the previous night, in just enough water ( about 1 + 1/2 cup). In the morning, it would have soaked all the water and it will be dry and soft. Chop the potatoes into small cubes, slit the green chillies and coarsely pound the skinned peanuts. Heat oil, add the mustard and cumin seeds, once they stop spluttering, add the curry leaves and both the chillies. Now, add the potatoes and salt and saute on low heat, till the potatoes are cooked, add the asafoetida, sabudana, keep mixing till the sabudana starts to look shiny ( about a couple of mins). Lastly add the peanuts, coconut and coriander, mix it well and remove. Add the lemon juice and serve it as such or with some sweetened curd. Don't mix the sabudana for too long, it'll become one gooey mess. Can finely chop the green chillies and add for a spicier version, I prefer it this way. Nice recipe and wonderful presentation!! I love it a lot, but cant make it good, thanks for sharing! I too often make this. Nice clicks. 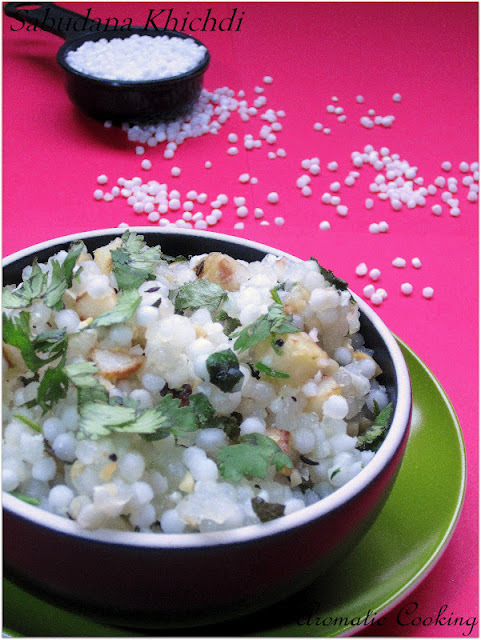 i just love this khichdi..i will try your recipe..looks so delicious!! Never tried this recipe,Nice BF...thxs fo sharing !! perfect khichadi. i love your presentation. I've never tried this recipe before. Great recipe!! Thanks for sharing this healthy dish!! Very delicious and yummy sabudhana kichidi. I love sabudhana kichidi a lot. I am going to get ready o make it. 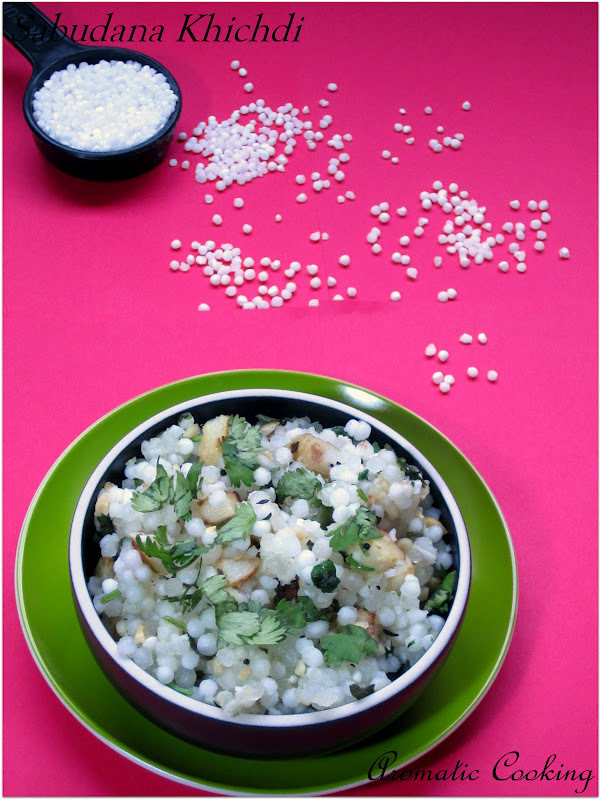 Nicely and beautifully presented..this is my favourite recipe ,I often makes this :) loved your version..
very yummy khichdi, love these white pearls.. Sounds delicious,will try this one..beautiful presentation. 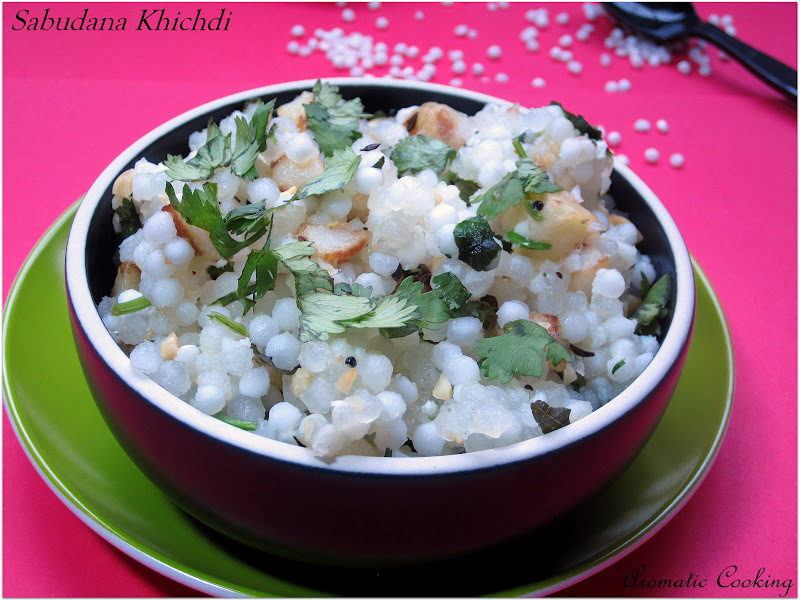 love this khichdi a lot, khichdi looks more yummy n inviting...Neat presentation Hema! I love this khichdi, I used to always have this at my friends place who is from Maharashtra. The only variation was they used to add red chilli powder. Your recipe is great! I have to limit the water i guess.. at times it become soggy..good one hema..will try again! Lovely kichidi....absolutely delicious looking one! tapioca pearls...yum! 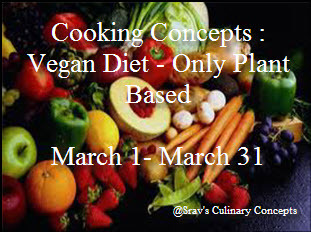 I rarely find recipes using this ingredient so I am glad to come across this. I like that there is ground peanuts in this dish too. Unique and well worth trying, great post! Looks delicious. I have not tried it with sago before. Than for sharing..! I simply love this sabudana Khichadi. Looks very delicious. my fav too, love it! Very yummy and wonderful khichdi !! Great clicks too !! 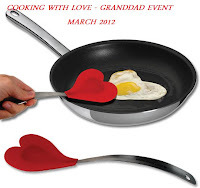 Thanks for linking to the event ! !